What if the work that Christ completed on the cross was greater than we imagine? What if Christ not only paid the penalty for our sin, but also went one step further and crucified our sinful nature? To answer this we need to understand what our sinful nature actually is. Our sinful nature is that independent, self-determining, ego-based nature that was first evident when man made the choice to live by his own wits in the Garden of Eden. At that time man chose to step out of his all-sustaining union with Christ (the tree of life) and strike-out on his own, sustained instead by his ability to live a good v. evil existence (the other tree). For many years I was taught the sinful nature was all about my disobedience, my failures, my weaknesses… when in fact these are simply fruits of my sinful nature. My sinful nature is that essence of my being that is dedicated to controlling my destiny by my own efforts. It is capable of operating in the realm of both good and evil and that is the truly sinister part, because it is all about being in control. Some people control their own destiny by doing good, they are convinced that a virtuous life will result in a favourable standing before God and man. Others control their destiny by doing evil, they decide to beat the system by living outside of the law, taking for themselves whatever they desire. Either way both of these approaches to life flow from the sinful nature, both of them are dependent on the capacity of the individual to determine their own future, both of them are all about the individuals capacity to control the outcomes of life. In other words they are independence-based rather than lifestyle-based, because it is not the choice of lifestyle that defines the sinful nature – but the choice to make it on your own. Millenia have passed since man-made the stupid decision to exert his right to be independent in the garden… the earth is populated by humans all exerting their best efforts to survive in the jungle (figuratively), all climbing over each other to make it to the top, all doing it their way – walking to the beat of their own drum – masters of their own destiny. People doing good / people doing evil – all trying to draw benefit from their choices…. the sinful nature is rampant. Enter Christ: He paid the price for our sin – job done. But surely He didn’t leave mankind with a sinful nature so that we would remain on the treadmill of good v. evil until we die. That is the scandal of the gospel, that is the very heart of His work on the cross – He came to both pay the price of my sins, and then remove from me the sinful nature that caused them in the first place. It is shocking, inconceivable, perhaps even ridiculous… but that’s the gospel message. My old sinful nature was crucified with Christ, it no longer lives, now I live by faith in the Son of God. So complete is this work of Christ; that Paul tells us we don’t have to live according to our old nature anymore. My sinful nature is deader than dead, as dead as Christ was when they took him down from the cross, it does not have to be obeyed any longer because it no longer exists. It didn’t rise up again with Christ on the third day, no it stayed in the grave, and in its place I was given the nature of Christ – I no longer live but Christ lives in me. If that wasnt enough; Christ also went so far as to say “I will become in you, the capacity to do good” – you no longer have to find this capacity within yourself, now I will be this capacity – all you have to do is trust me…. And that’s the kicker. People who have depended on their own virtue all their lives find it hard to let go and depend on Christs virtue. It is a surrender that defies logic, it is a scandalous surrender, it is a surrender that has determined that ‘Christ in me’ can carry me through every issue of life and present me perfect before the Father. Thats why Paul said; “that which is not of faith is sin” because it is one or the other. Either we confidently rest in Christs ability to be and to do all that He claims – or we mix in our own virtue, effectively neutralising faith and re-energizing the sinful nature. This one is for my friend Diane. Picture in your mind the image of Jesus that is most real to you. Is he a handsome man with a neat beard dressed in white, patting children on the head? Is he a disfigured image of suffering and pain as he endures his last day on earth? Is he a benign persona who listens while you pray? Is he a constantly disappointed life coach, who is never completely satisfied with your efforts? If our understanding of Jesus is primarily one of a man in human form, then we have dramatically limited our view of Him. I use the word dramatically because the drama that unfolded about 2000 years ago when Jesus walked the earth for 33 years, is but a scratch on the surface of His actual being. Sure this time in history is the most profound of all periods to ever occur in the theatre of humanity, but it is never-the-less a shadow, an earthly reflection, of the one in whom we have believed. We earthlings have all but lost the use of the ‘eyes of the heart’ that Paul refers to in Ephesians chapter 1, we have such a limited ability to grasp the reality that exists in the realm outside of our physical, material world ~ and consequently we constrain Jesus to our earth based thinking. But The Apostle John had no such limitations, he was determined to jerk our thinking out of the mind-sets of the flesh and straight into realm of the Spirit. It is the realm where the original is found, the place that contains the real substance from which the earthly copy was crafted ~ in that regard the physical realm is an inferior representation of the greater reality, which is the kingdom of God. John wrote His gospel much later than the other 3, and its very different from the other gospels in style and content. It’s a window into the realm of the Spirit ~ as opposed to an account of the earthly events surrounding Jesus life and death. It’s not that John was quirky or more endowed with a writers artistic flare and inclined towards creative imagery, it’s that the realm of the Spirit had become His primary reality as the years passed, and he was simply writing it as he actually saw it. So John opens His gospel in the realm of the Spirit; for John to present Jesus from a physical / material viewpoint would be unthinkable, because as far as John was concerned that would be grossly inadequate. In the first 4 verses John has dismantled the material imagery we generally contain Jesus within… He is “The Word”, in Him was “Life”, that life was the “Light” of men. All 3 of these descriptions of Jesus have an earthly counterpart or copy, but Jesus was these before they existed in a physical way ~ He was the original!! The Greek translation of “Life” when it is generally used in the context of Christ is ‘divine vitality’ or ‘heavenly energy’ ~ not that Jesus was some sort of cosmic universal energy, as proposed by the New Age movement ~ but that within His being, and integral with His existence, was contained the vitality to create the universe by speaking it into existence… this same divine essence was also operating in perfect harmony with its counterpart ‘love’. Eternal Life & Love radiated from Christ before time began. He could not turn them off anymore than we could remain alive after we stop breathing. For Christ to be Christ these integral truths are blazing from His being… forever. Life & Love gloriously filling and sustaining everything ~ and all emanating from the one we call Jesus, without beginning or end… that is Jesus. This heavenly vitality that defines the essence of Jesus has now made His home in us. The radiant, blazing Love and Life of the living God has taken up residence in our spirits… simply by placing faith in Him. And now we are once again eternal beings like God ~ the substance of our existence is no longer constrained and sustained by the physical realm, we are sons and daughters of the Most High God… eternally lost and hidden in His Love and Life. I’ve been kicking around the subject of whether the Christian church resembles the blueprint Christ had in mind…. the ramblings continue. A few days ago I made the statement; “The whole purpose of the cross of Christ was to removed from us this flesh-based existence. The whole purpose of the cross was to re-connect us to Christ ~ Hardwire us to Him, as opposed to merely a battery back-up. The whole purpose of the cross was to destroy the good v. evil modus-operandi that defined our being, and return us to an existence that has its source and sustenance in Christ… not self“. It’s not my intention to have a church-bashing session but rather to apply some thinking to ‘us’ the church… to take our pulse if you like, just to check that we are actually alive. Lets go back a step to the Old Covenant – it was based on mans ability to satisfy God by completing various sacrifices, participation in activities and generally living a lifestyle of religious merit. Enter the New Covenant – Christ became the sacrifice, and fulfilled all righteousness on our behalf… How does one build Christianity out of that?? There is nothing left to do, all of the expectations that God has of us have been fully satisfied in Christ. But how do we construct a way of practicing our faith, when there is nothing to do… in other words, how do we move from an ‘activity based’ religion to a ‘faith based’ one. Our natural instinct wants to do something, to get involved, to contribute…. it makes sense; there is so much to do, lots of needs, programs and ministries. And so we throw ourselves headlong into the stuff of church just because it’s what the culture does, we don’t even think about it… we just get caught up in the activities and the causes – it must be right because everyone is doing it, and besides it gives us a sense of identity. Dont get me wrong; I’m not saying that there shouldnt be any activity… I guess what I am saying is this; “The activities should be the overflow of having personally discovered the wonder of knowing Christ, not the means of attaining it“. Returning to my initial statement at the top of the page about ‘the flesh’. The flesh is defined by its self-based existence, the flesh does not grasp the difference between self-based and overflow-based activities because it is unable to perceive the life of the Spirit. The flesh finds meaning in participating in activities… the spirit can only find meaning in participating in Christ’s activities. It is for this reason that we ‘the church’ must break free of the gravitational pull of our compulsion to do. We must step back and take the time to properly learn what Christ has done – with the ultimate overflow that we begin to walk in the good works prepared for us since the beginning of time. The notion that the flesh and the spirit are compatible bed-fellows is our downfall. We relate to Christianity from the perspective of giving back, service, following the example of Christ (what could be more noble)…. but there is something more noble “Christ doesn’t want us to live for him, He wants to live in us”. Thats why Gal. 2:20 ‘I have been crucified with Christ’ is such an important scripture, Christ doesn’t want our service, He want to kill us, take over our bodies, and live in us by the power of His Spirit. The only way forward as I see it, is to get a full revelation of the work that Christ completed on the cross… without such a revelation we will default to works of the flesh…. yet with this revelation the way of the Spirit is finally realised. Perhaps our biggest mistake has been to usher people passed the cross too hurriedly, perhaps we should have lingered there and grasped that Christ came to destroy the flesh – not give it a purpose. In the end it all seems to come down to whether we are willing to place faith in the works of Christ alone, or continue to mix His works and ours in a cocktail of religious living. It’s funny that the church seems to have become more defined by the overflow than the object Himself. The overflow is good if it flows from the joy of living by faith, free of the obligations of the law… it is bad if it is our attempt to draw close to God. Imagine a blank page ~ draw a line vertically down the middle of the page ~ on each side of the line we will list the ‘before and after’ features of the cross of Christ. Left side of the line ~ everything that describes our existence without Christ. Right side of the line ~ everything that describes our existence in Christ. For most of the Christians I know there is no dividing line… life is more of a cocktail of all of the above ~ it wasn’t meant to be that way. Our flesh wants to retain some of its old identity, it wants to keep playing it’s old (pre-Christ) part, with the result that many people are still living as if Christ had never died ~ they are waiting for God to act, when He has already finished the Great Drama of the Ages, the curtain has come down, the show is over. Since the cross, there has been a brand new show in town, it’s called ‘Living in the Spirit’… it bears no resemblance to the old drama that was played out before Christ came. The old show was about us and how well we performed our part to get God’s applause and appreciation ~ the new show is about resting in the stunning performance of Christ and loosing ourselves in the magnificence of His sacrifice. The flesh wants to hold us back, it is determined to play its part ~ if we submit to the flesh and insist on living on the basis of our own efforts, then we miss the opportunity to Walk in the Spirit. They are exclusive performances, played out in different theatres ~ the flesh has an important part in ‘The Old Covenant’ show, it has a lead role ~ the Spirit is playing on the other side of town, it’s show is called ‘The New Covenant’… Christ is the only actor, and we are hidden in His performance by faith. The old show was a poor performance at best, the costumes were dowdy and the set was bleak, the critics gave us a very bad review ~ it bore little resemblance to the script, just a childish pathetic attempt to please The Maker. The new show on the other hand was a stunning success, the words, the light, the wonder of it was beyond imagination ~ the script was acted out with perfection, in fact; so perfect was the performance of Christ that The Maker ripped up the script at the end of the final act. He declared the show over, never to be repeated, a performance that will resonate down through the ages, living on forever through the sheer spectacle of its magnificence. But what do we do now that the script has been torn up by The Maker?… We step into the performance of Christ, we live in the Spirit ~ we enter into the perfection of His performance as it resonates down through the ages ~ we cease our poor performance, we stop our efforts to act out a role that is way beyond us, and we allow ourselves to be carried aloft by the greatest show on earth “Christ in me”. … or we can keep performing in the dilapidated theatre of self-effort and religion !! How does life change ~ now that Christ is in me? or to ask it another way; are the changes only related to my inner being, or are there outworkings into my physical circumstances? This is such an important question because is goes straight to the heart of the matter ~ it distinguishes between our motivations for surrendering ourselves completely to the work of Christ on the cross. On the one hand the object of our faith is “earth-bound issues”, and on the other hand the object of our faith is “Christ”. Prosperity teachers would tell us that the work of the cross is all about removing the obstacle that was blocking the flow of the blessings of God to us… but is that primarily the work of the cross? was there something far more fundamental taking place on the cross ~ and if so, does that mean that the flow of blessings is simply an outcome of something much greater? The thing that we “fix our eyes on” is essentially the thing that is our motivation. If our motivation is wrapped up in getting our earthly issues resolved (finance, relationships, health, troubles), then we may be fixing our eyes on the outcome, rather than on Christ Himself. Let me make a statement at this point; I firmly believe that every ill and trouble known to mankind which is a result of the presence of sin in the world, was fully resolved and defeated on the cross. 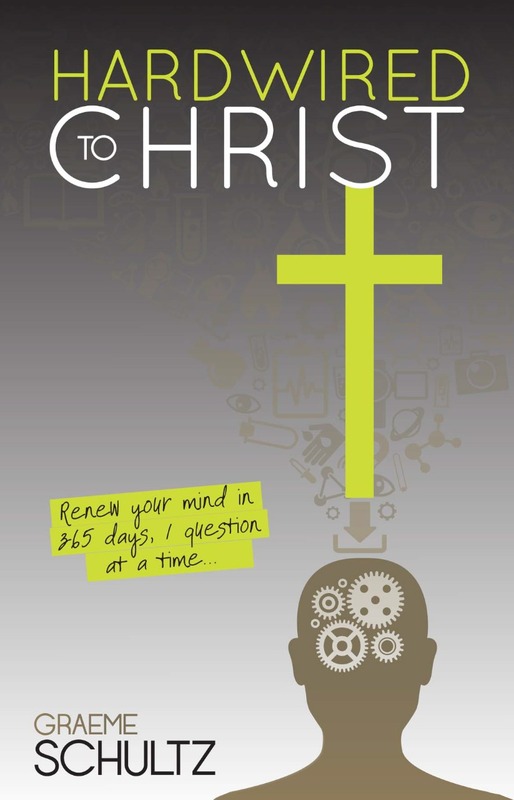 There is no problem known to the believer that has not been answered in Christ ~ but does the physical resolution of these issues take place because we make them the focus of our faith, or are they resolved as the overflow of making Christ the focus of our faith. When Christ declared in John 10:10 “that He came to give us life” ~ was He saying that He came to resolve our circumstances, or that He came to resolve us? If He came to resolve our circumstances, then we must fix our eyes on that task. If He came to resolve us, then we begin to fix our eyes on “Christ in me”… this results in the vitality of heaven, the very life-substance of Christ achieving the impossible – simply as we rest in Him… our circumstances must ultimately yield to that powerful life. In effect the original instruction by God to Adam “subdue the earth” has been re-empowered in us by this “life of Christ” ~ and it’s up to us to place faith in Christ and watch these circumstances slowly bow to His life. Funny thing is that the more we fix our eyes on Christ, the less overwhelming our circumstances become ~ the ultimate result being that we don’t pay them as much attention as we used to, and the power that sustains them shrivels up for lack of air. In practical terms, I see it working like this… Initially my circumstances continue unabated, if I allow myself to see them as greater than Christ, then by my focusing on them I provide fuel for their continued rampage ~ if on the other hand I discount them as inferior to the power of the life of Christ, then I remove the source of their energy and ultimately they run out of puff. I am very conscious of not being trite or super-spiritual as I say this, I do not wish to diminish the difficulty of the lives of many who follow Christ ~ the fact remains though, that Christ’s work on the cross was sufficient to destroy every ill known to man, and our part is to rest in that sufficiency. The difference between my life prior to this revelation and now, can be summed-up in one word – ‘Faith’. My previous life was defined by the word – ‘Hope’… I hoped God would come through, I hoped He would fix up my circumstances, I hoped that He would release me from fear and anxiety ~ now I rest in Christ (Faith) ~ the key to this rest is that I had to decide once and for all that “God is good, that He loves me, and that He can be trusted”. Sure I have my wobbly days, at those times I go back to my decision and remind myself; “God is good, He loves me, He can be trusted” ~ and then I live in that decision, instead of fear and anxiety about my circumstances. My circumstances bow; sometimes quickly, sometimes more slowly ~ but it’s ok because I’m learning that I don’t live in my circumstances, I live in Christ. What Happens Next ? (following on from; what happened in the garden, on the cross, and now). One of the greatest cons perpetrated upon the church by satan is the ‘twisting of the doctrine of sanctification’. It goes something like this; Christ completed His work on the cross and saved me from my sins, and now the Holy Spirit is working in me to form my life into one that reflects Christ’s nature. Now some may be saying ‘that sounds right to me’… fact is; this is the most subtle, dis-empowering, despicable & harmful con imaginable. Here’s the truth; Christ completed His work on the cross which included; saving me from my sins, killing my sinful nature, transferring His perfect nature into me in its place, with the result that I am now a perfect reflection of Christ… job done ~ (the natural realm may still see me with all my failings, but the spiritual realm sees me in Christ). The first option (the con), has convinced us that we are a work in progress, that sanctification is an improvement program that finally ends when we die. The second one (the truth), is that we are perfected in the instant we place faith in Christ; that sanctification ended when we died in Christ, there is no further potential for improvement as far as God is concerned because we have been transformed into the perfection of Christ. The meaning of the word sanctification is; “separated or set apart for God” ~ in the old testament it was applied to tables, vessels used in worship, etc. In effect it means; ‘made holy for God’… there was no lifetime process involved in making a table set apart, it just happened there and then. The importance of this cannot be over-stated, it is the most fundamental of drivers of our engagement in Christian living. By and large the Christian community is involved in trying to gain God’s favour by right living… so that we can receive from Him His blessing and assistance. We have been conned into thinking that God responds to; ‘how well we are progressing along the sanctification scale’. The reality is that; we know deep down that there is no chance of us reaching the high mark required, and so we never truly step into a life of bold faith or confidence in God. In contrast the truth is this; we receive Gods blessing and assistance because we are already fully sanctified into the righteousness of Christ ~ there is no scale. We have attained the high mark expected by God by the simple act of placing faith in Christ ~ His death and resurrection. Now we step boldly into a life of faith, knowing that Christ has completed both justification and sanctification, we have been made worthy by the sheer power of His blood, (see Heb. 10: 19-22). This faith and confidence in the work of Christ is also described in God’s word as; “Life in the Spirit”. Living in the Spirit is the term God uses to describe a life that soars above the limitations of ‘life in the flesh’ ~ however, if we are constantly monitoring our performance (sanctification) then our eyes are fixed on ourselves and not on Christ. The result is that our wings are clipped ~ instead of soaring in the Spirit we begin to spiral into self-doubt and low confidence in God. As soon as self-effort and consciousness of human weakness gain traction, then our confidence in such truths as; ‘we are seated in heavenly places’ and, ‘we are joint heirs with Christ’ begins to slip away. Life in the Spirit is just that ~ it is a disregard for the deeds of the flesh as a means of attracting God’s attention, and resting in the work of Christ as the source of God’s favour. What happens next? LIFE IN THE SPIRIT…. (also known as ‘the divine adventure’ ~ my definition). It is a bold life. Yet it is a life of poise and rest in the confidence that the blood of Christ has already completed the task of forming ‘Christ in me’. It is a life that has its eyes firmly fixed on the capacity of the blood of Christ to accomplish any task, with scant regard for my own poor performance. It is a life that slowly replaces fear with assurance, and it’s all because we stepped over a line… on one side of the line my humanity impacted upon God’s favour and blessing / on the other side of the line is my union with Christ’s work, in attracting God’s favour and blessing. The con of satan is the notion that can we have one foot on each side of the line, that we can mix Christ’s performance with our own. The adventure begins on the day when we declare to ourselves; “From this day forward, my life is sustained by Christ alone ~ my faith in His goodness not my own”. Whats happening now ? -following on from; ‘What happened in the garden, & on the cross’. Ever hear the saying; “if something is said to be ‘too good to be true’, then it probably is?” ~ good news usually comes with a catch, there is no such thing as “a free lunch”, and so on. 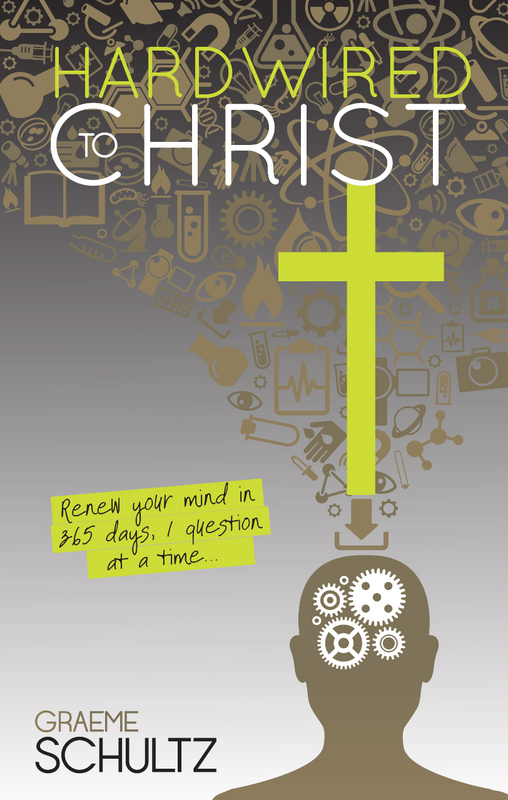 “Christ in me” is a bit like that… it’s just too darn good to be true. Fact is; the majority of believers sideline it to the theoretical or figurative basket, they relegate it to a doctrinal matter with little practical application. As a result; the most potentially powerful truth of all, lays gathering dust on the top shelf of our seldom visited theology. Imagine being handed a million dollars… and spending the rest of your days restricting your spending to a thousand dollars. It wouldn’t happen! It would be like putting $1,000 on your middle shelf, and $999,000 on your top shelf… and forgetting it’s up there, never making use of it. Thats pretty much what is happening with Christianity the world over. We are living on small change ~ and we don’t even know it. We think that the thing we have constructed around Christianity is the real-thing, the whole shebang… but it’s little more than a cardboard cutout. We have grown so used to all of the things going on in the Christian culture that we have mis-placed the actual object of our faith Himself. We have put Christ on the top shelf and forgotten about Him, busying ourselves with the small change of all the stuff we do in His name. You know why? because we think He is too good to be true, so He probably isn’t. I don’t mean that we think He isn’t true, I mean that we think the outcomes of His work on the cross aren’t true. We can come to terms with His death on the cross as a means of dealing with our sins, but we can’t come to terms with His subsequent re-creation of us as people who are filled with the divine nature. We cannot resolve it intellectually and so it sits gathering dust on the top shelf. What if all the stuff we Christians do week-in week-out was of no particular importance to God ~ would we still keep doing it?… probably, because we don’t know what else to do! What if all the activities we are involved in are little more than the clutter left behind when my grandkids visit… that clutter just isn’t the point of it all! Yet we have made our myriad activities, duties, good habits, principles, the stuff of our faith… they aren’t, Christ is ~ and we hardly know Him. The work of the cross is this; At the moment Christ died a line was drawn across history. From that instant we ceased to exist as a people who satisfy God by our faithful and sacrificial living, we were instantly transformed into a people who are in sublime union with the holy one Himself ~ simply by believing in His faithfulness and sacrifice. We became His holiness, by doing nothing. Christ went into the grave destitute, loaded up with the sins of all humanity ~ but when He arose, He looked upon His bride (you and me) now gloriously clothed in His perfection ~ and He took us into Himself ~ perfection had married perfection, we became those who are lost in the stunning beauty of His goodness. The perfect one of heaven placed us into Himself, so that we would never again have to look to ourselves to find our worth. IT’S JUST TOO GOOD TO BE TRUE. But it is true. It is the greatest truth in history ~ Christ and I have become one. Even as this post is read I know many are thinking; nah, that’s not right ~ look at my life, it’s anything but perfect, in fact it’s an outright disaster. That is the wonder of Christ; HE DOESN’T CARE! He didn’t let our imperfections keep Him from dying for us, and He wont let our imperfections keep us from living in Him… only we can do that, only we can chose to build our faith on our good works instead of His history defining work. Only we can say to Christ; “your blood wasn’t enough for me, I’m not worthy, better to live as a cardboard cutout than to accept that I am the perfection of God ~ anyway, I wouldn’t even know how to do it”. But, imagine a life that never again questions our value to God… imagine living in the boldness of one in whom the very person of God dwells… the possibilities are staggering ~ the alternative is such a waste. How do we do it? WE LET OURSELVES BELIEVE – HE IS TOO GOOD TO BE UN-TRUE.